Vitex agnus-castus, also called Vitex, Chaste Tree, Chasteberry, Abraham's Balm or Monk's Pepper, is a native of the Mediterranean region. It is one of the few temperate-zone species of Vitex, which is on the whole a genus of tropical and sub-tropical flowering plant. Vitex agnus-castus seems to be safe for most people. Uncommon side effects include upset stomach, nausea, itching, rash, headaches, acne, trouble sleeping, and weight gain. Some women notice a change in menstrual flow when they start taking vitex agnus-castus. You have a hormone-sensitive condition such as endometriosis; uterine fibroids; or cancer of the breast, uterus, or ovaries. You are trying to get pregnant using in-vitro fertilization. Ginger has been used for in cooking and traditional medicine for thousands of years. It is currently one of the most widely used herbs worldwide. Ginger has been used traditionally for a long time to treat nausea. Scientific evidence confirms its uses as an herbal remedy for nausea and related ailments such as morning sickness and motion sickness. Ginger contains many antifungal compounds which make it a popular herb for treating athlete's foot. Studies have shown that ginger inhibits the production of cytokines, which promote inflammation. Therefore, the traditional Indian use for treating inflammation is gaining new found popularity. Some of the other traditional Asian uses for ginger include stimulating the appetite, promoting perspiration, and fighting body odor. 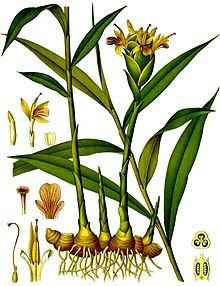 It has been used to treat pain and traditional Indian Ayurvedic medicinal uses include ginger in herbal arthritis treatment. Treatment of joint pain, especially those conditions caused by poor circulation, is another popular use of this herb. Heart health is another benefit of ginger use. It has been shown to slow the production of LDL and triglycerides in the liver and prevent the clotting and aggregation of platelets in the blood vessels, associated with atherosclerosis and blood clots. Ginger has been used to treat common gastrointestinal complaints such as flatulence, indigestions and diarrhea. It has also been shown to lessen the severity of menstrual cramps. The ginger root has also been used to treat some of the symptoms of common cold and flu such as loosening phlegm and treating chills. Cough, asthma, halitosis, high fever, sinusitis, menstrual cramps and colic have been treated traditionally with ginger. It is a popular herbal remedy for heartburn. Pregnant women should be careful with ginger due to its potential to cause uterine contractions. Ginger has also been shown to interfere with the absorption of dietary iron and fat-soluble vitamins. Stomach upset is a common side effect with larger doses. Ginger may potentiate the effects of blood thinners, barbiturates, beta-blockers, insulin, and other diabetes medications. Due to the blood thinning effect ginger should not be used before surgery. Ginger is available in fresh or dried root, tablets, capsules, powder, tincture, and tea forms. Fresh Ginger Root: 1/3 of an ounce of fresh ginger daily. This can be taken in tea form or used in baking or other herbal uses. Take five to six thin slices of fresh ginger and steep it with hot water for thirty minutes to make a fresh ginger tea. Dried Ginger Root: 150 to 300 milligrams of the dried ginger root can be taken three times daily in capsule or powder form. It may also be used to make tea. A teaspoonful of the dried powder may be added to a pint of hot water and steeped for 30 minutes to make the tea. Tablets and capsules generally come in 150 mg to 500 mg doses. 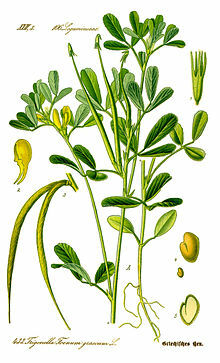 Fenugreek seeds are rich source of minerals, vitamins, and phytonutrients. The seeds are very good source of soluble dietary fiber. Soaking the seeds in water makes their outer coat soft and mucilaginous. 100 g of seeds provide 24.6 g or over 65% of dietary fiber. Non-starch polysaccharides (NSP) which constitute major fiber content in the fenugreeks include saponins, hemicelluloses, mucilage, tannin, and pectin. These compounds help lower blood LDL-cholesterol levels by inhibiting bile salts re-absorption in the colon. They also bind to toxins in the food and helps to protect the colon mucus membrane from cancers. NSPs (non-starch polysaccharides) increase the bulk of the food and augments bowel movements. Altogether, NSPs assist in smooth digestion and help relieve constipation ailments. It has been established that amino-acid 4-hydroxy isoleucine present in the fenugreek seeds has facilitator action on insulin secretion. In addition, fiber in the seeds help lower rate of glucose absorption in the intestines thus controls blood sugar levels. The seeds are therefore recommended in diabetic diet. The seeds contain many phytochemical compounds such as choline, trigonelline diosgenin, yamogenin, gitogenin, tigogenin and neotigogens. Together, these compounds account for the medicinal properties of fenugreeks. This prized spice is an excellent source of minerals like copper, potassium, calcium, iron, selenium, zinc, manganese, and magnesium. Potassium is an important component of cell and body fluids that helps control heart rate and blood pressure by countering action on sodium. Iron is essential for red blood cell production and as a co-factor for cytochrome-oxidases enzymes. It is also rich in many vital vitamins including thiamin, pyridoxine (vit.B-6), folic acid, riboflavin, niacin, vitamin-A and vitamin-C that are essential nutrients for optimum health. Its seeds have been used in many traditional medicines as laxative, digestive, and as a remedy for cough and bronchitis. 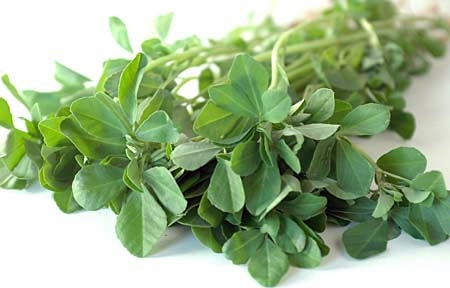 If used regularly, fenugreeks may help control cholesterol, triglyceride as well as high blood sugar (glycemic) levels in diabetics. Fenugreek seeds added to cereals and wheat flour (bread) or made in gruel, given to the nursing mothers to increase milk synthesis. The health benefits of fennel include relief from anemia, indigestion, flatulence, constipation, colic, diarrhea, respiratory disorders, menstrual disorders, eye care, etc. Wa Alaikum as Salams, sis this is a great idea. Thanks for this interesting information, sister.